Welcome to Tidewater Beach Resort! Emerald Coast by Owner is proud to feature these luxurious vacation rental properties. Tidewater Beach Resort consists of villas and high rise condos with excellent views and easy access to the gulf. The resort boasts 570 units, an indoor pool, two outdoor pools, game room, movie room and fitness center. 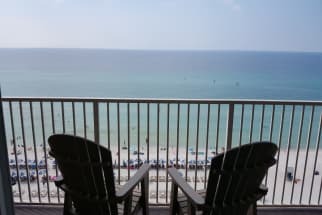 Ideally situated to experience all there is to do in Panama City Beach or just stay at the resort and relax beachfront with the available chair service. Popular activities include parasailing, deep sea fishing, paddle boarding, swimming with dolphins, jet ski rentals, boat tours, golfing and more. If you're looking to shop, check out Pier Park. 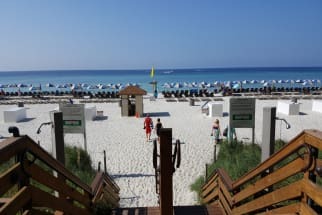 With over 100 stores and restaurants to choose from, you find everything you need to make your beach vacation experience complete. The variety of restaurants and specialty foods available truly provides something for everyone. There is no shortage of excellent food and drinks. 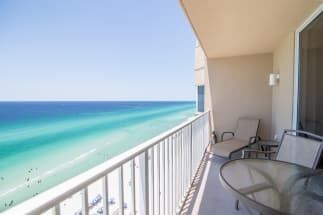 Enjoy the emerald green waters and white sands of the gulf coast in a vacation condo from Emerald Coast by Owner. 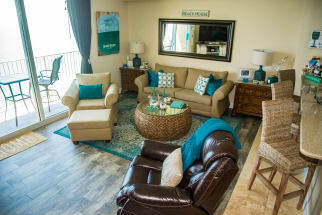 Browse our selection of Tidewater Beach Resort condo rentals below. Contact owners directly by clicking the “Email Owner” button on your favorite listing below and book today!